The 2018-2019 Soccer season runs from August 1, 2018 to July 31, 2019. 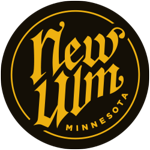 During the 18-19 season, New Ulm Area Youth Soccer runs a fall, winter, and spring/summer league. Winter soccer for Rec players continues through the end of March at Vogel Fieldhouse. Summer 2019 registration is now open for ALL levels of play: Rec (U4-U8) RecPlus (U10). Registration is open for Summer 2019 for all levels. U4-8 Rec, U10 RecPlus. For more information and to register, please use the link below. Congratulations to our U17 Girls on winning the Silver Bracket at the 2018 Schwan's Cup! During soccer season bad weather can strike at any time. Here are the rules that will be followed in case of inclement weather. ©2019 New Ulm Area Youth Soccer Association / SportsEngine. All Rights Reserved.